Ryan Staub has had a passion for cars, speed, and competition since he was a child. He officially became involved in motorsports in 2002 after purchasing his first BMW M3. Shortly after the purchase of that M3, he became heavily involved in SCCA Autocross and BMW Club, Porsche Club, and Audi Club high-performance driving events. Due to his dedication and focus, he progressed quickly and worked with professional coaches to further refine his driving skills. In 2005 he passed the BMW CCA, Porsche Club of America, and Audi Club Instructor Training Schools to become an approved HPDE instructor. I met Ryan a bunch of years ago when he traveled all the way from Kansas to Virginia International Raceway to work with me. He had a lot of drive to advance his abilities at that point and in a short period of time, he came a long way. It has been a pleasure to know and work with him along the way – Ryan shows what some ability, persistence, and a great attitude can accomplish in this sport. Staub is currently the Chief Driving Instructor for the Kansas City Chapter of BMW CCA. In this role he is responsible for managing and developing the driving instructor corps for driving events held by the Kansas City BMW Club. He has established a great reputation with the HPDE community in the Midwest and beyond. From 2006 to 2009, Staub campaigned a BMW 325i (E30) in the Improved Touring S class with Sports Car Club of America. From his first race he demonstrated that he has the driving skill to compete at a high level. Over that period Staub won over 60% of his races, earned 3 track records (2 still stand), 2 Division/Region Championships, 2nd place for Driver of the Year in 2009, and not a single incident causing damage to his car. He currently leads Team LMR, a 2-car endurance racing team, competing in World Racing League. Over the last 3 years his team has proven to be a major contender by regularly finishing on the podium at events across the country. 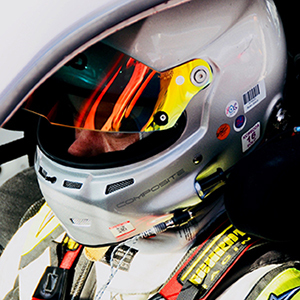 Staub earns his living as an insurance professional with a strong focus in motorsports. He founded Lockton Motorsports which is the largest provider of physical damage insurance to HPDE participants in the US and insures many of the largest event organizers, sanctioning bodies, and car clubs throughout the US..
Autobahn Country Club, Barber Motorsports Park, Brainerd International Raceway, Circuit of the Americas, Gateway Motorsports Park, Hallett Motor Racing Circuit, High Plains Raceway, Heartland Motorsports Park, Infineon/Sonoma Raceway, Laguna Seca, Mid-Ohio Sports Car Course, Motorsport Ranch (Cresson), New Jersey Motorsports Park, NOLA Motorsports Park, Raceway Park of the Midlands, Road America, Road Atlanta, and Virginia International Raceway.